John Saltmarsh, 1908 - 1974. 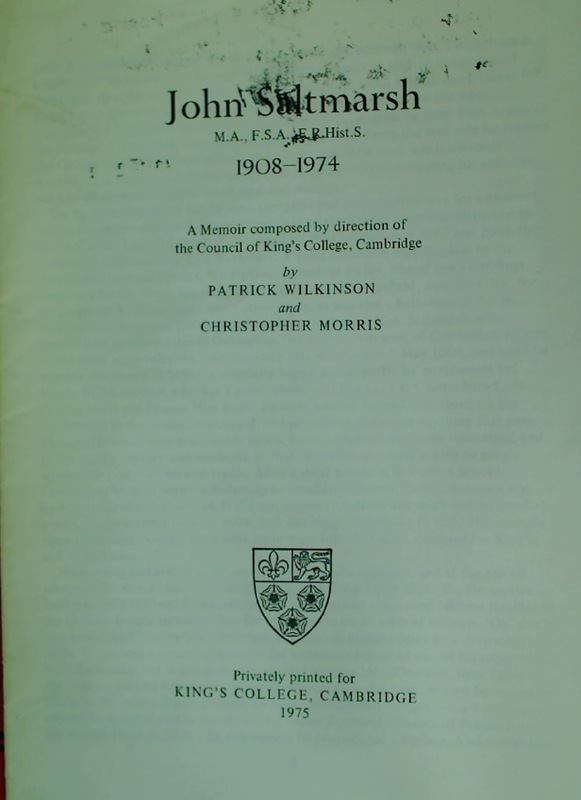 Publisher: Cambridge: King's College 1975. Down Your Street, Cambridge Past and Present, Volume 2: East Cambridge. The Life and Letters of Lafcadio Hearn. Volumes 1 and 2. Complete Set.